Hurrah! 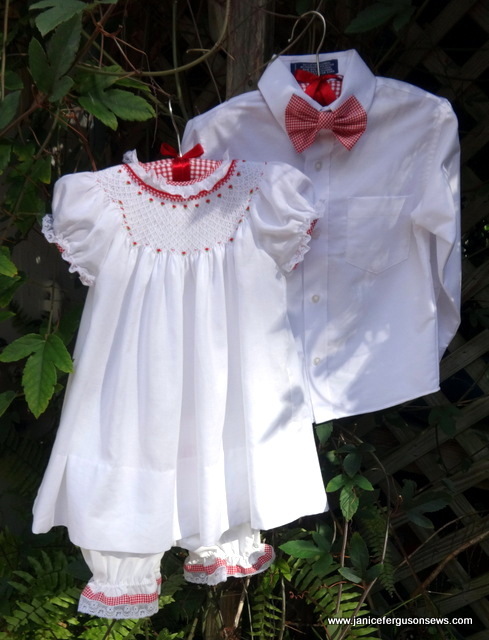 Christmas clothes for our two younger grandchildren were finished, shipped and received late last week. 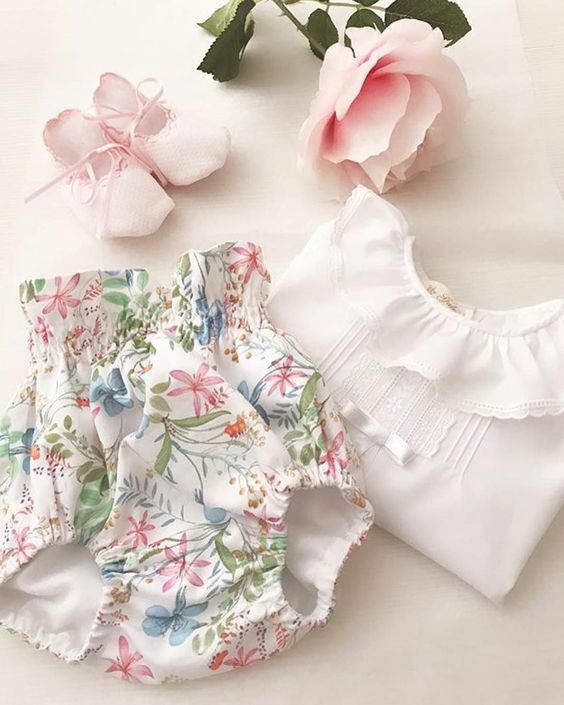 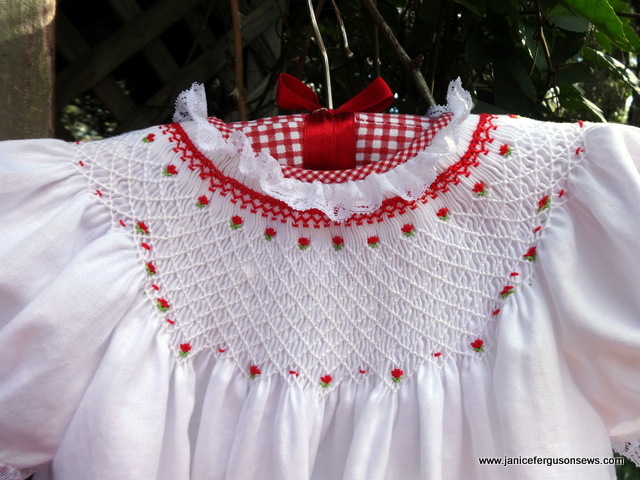 Toddler Vivian Rose’s white Swiss flannel bishop has the neck and sleeve bound with in red gingham pima cotton. 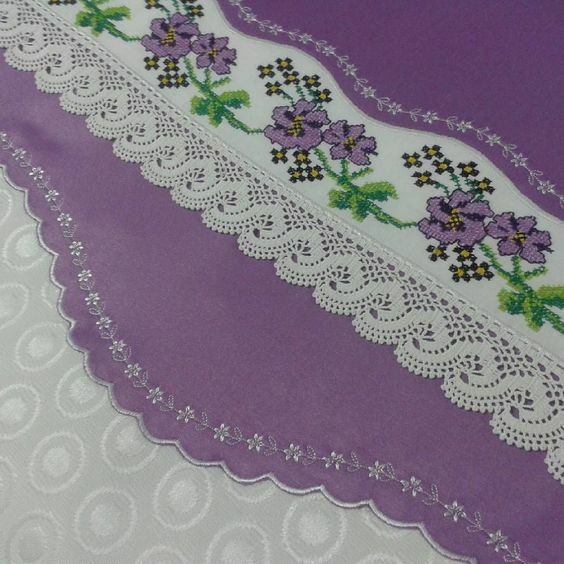 Heirloom lace is hand whipped to the bias binding.